Physical characteristics: These birds are famous for their bright blue webbed feet. They are large seabirds with long, pointed bills, wings, and tails. Their length is between 29.9 and 33.1 inches (76 and 84 centimeters) from their bills to the end of their tails, and their wingspan is about 60 inches (152 centimeters). Geographic range: Blue-footed boobies live in cool Pacific waters off the coast of northwest Mexico and southward to the coasts of Peru in South America. They are also found on the Galápagos Islands. Habitat: Blue-footed boobies breed and roost along rocky coasts on cliffs and small islands. They spend their days at sea in cool waters where there are plenty of fish. Diet: Blue-footed boobies feed on fish near the shoreline. They usually fly out in groups from the roosts where they spent the night. When they spot a school of fish below, one booby after the next plunges into the water. Other groups of boobies often see them diving from far away, and they join in the feast. Sometimes they catch flying fish near the surface. Behavior and reproduction: Male blue-footed boobies have some amusing courtship displays. They march around in a high-stepping dance, showing off their blue feet. They nest on the ground, and the female usually lays two eggs. Then the parents keep the eggs warm with their feet. After they hatch, the young boobies are fed by their parents for more than five months. Blue-footed boobies and people: The name "booby" comes from the Spanish word bobo, which means "stupid or foolish." Sailors long ago noticed that these birds were not afraid of humans, and thought the birds were foolish for letting them grab them and eat them. Alsop, Fred J. III. 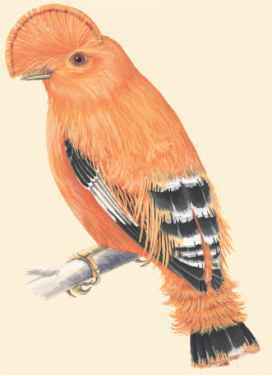 Smithsonian Birds of North America. London and New York: DK Publishing, 2001. Alten, Michelle, and Wolfgang Kaehler. "Home from the Sea." International Wildlife (May/June 1994): 44-51. Alten, Michelle, and Wolfgang Kaehler. "A Tale of 3 Boobies." International Wildlife January/February 1998: 28-35. Mowbray, Thomas B. "The Birds of North America, Northern Gannet, No. 693." Cornell Laboratory of Ornithology and The Academy of Natural Sciences (2002): 1-24. Ross, Alec. "Tell-Tail Gannets." Canadian Geographic (March/April 2004): 24. Wiley, John P. Jr. "Magnificent Flying Machines." Sea Frontiers (May/June 1993): 14-16. "Abbott's Booby, Recovery Outline." Australian Government, Department of the Environment and Heritage. http://www.deh.gov.au/ biodiversity/threatened/action/birds2000/pubs/abbotts-booby.pdf (accessed April 15, 2004). Animal Diversity Web. "Family Sulidae (boobies and gannets)." The University of Michigan Museum of Zoology. http://animaldiversity.ummz. umich.edu/site/accounts/pictures/Sulidae.html (accessed April 15, 2004). 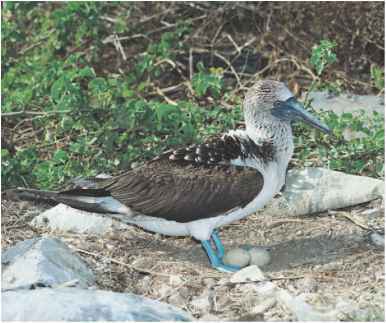 "Blue-footed Booby." eNature.com. http://www.enature.com/ fieldguide/showSpeciesSH.asp?curGroupID=1&shapeID=957&display=2 &curPageNum=32&recnum=BD0684 (accessed on July 9, 2004). "Gannets at Muriwai, New Zealand." Division of Science and Technology, University of Aukland. http://www.scitec.auckland.ac.nz/hafner/ gannets/ (Accessed April 14, 2004). "Sulidae—Gannets & Boobies." Animals-Online.be http://www.an imals-online.be/birds/genten/northern_gannet.html (accessed April 15, 2004).